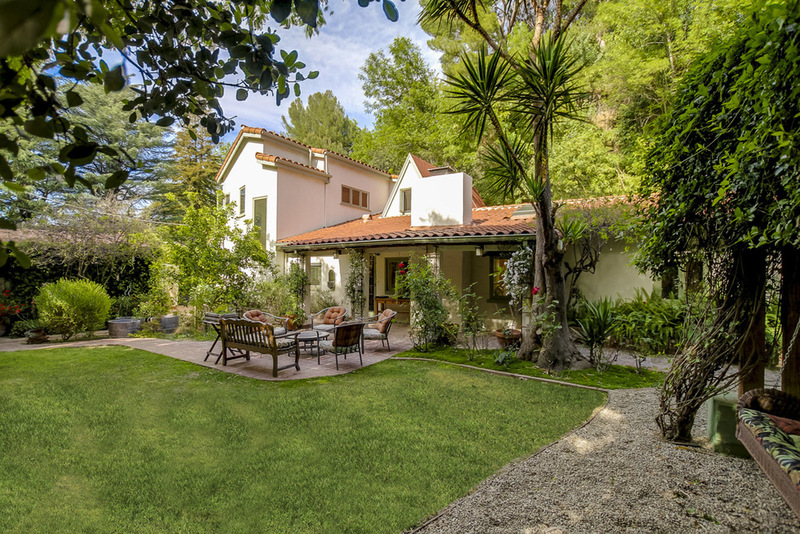 Tranquil retreat located in this desired South of the Boulevard Sherman Oaks neighborhood. 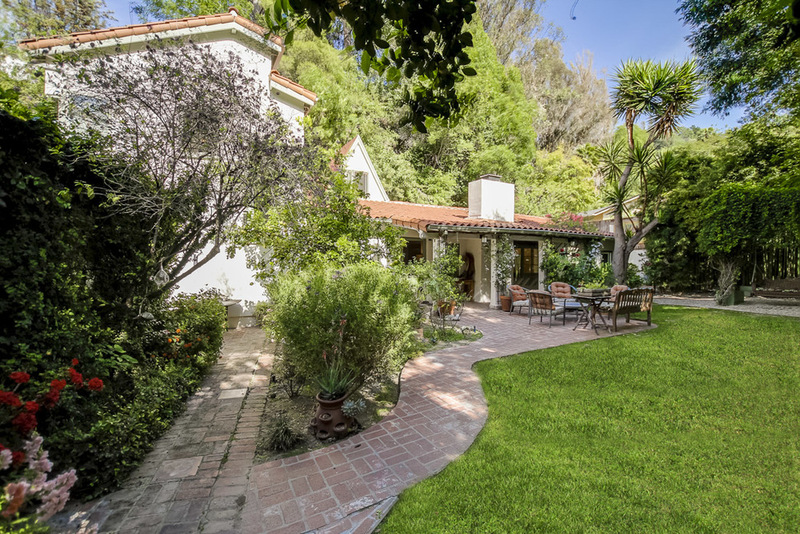 This unique Spanish-style 4 bedroom, 3 bathroom home has 3,290 square feet of living space and resides on a 12,792 square foot street to street lot. Charming doesn’t begin to describe this home. 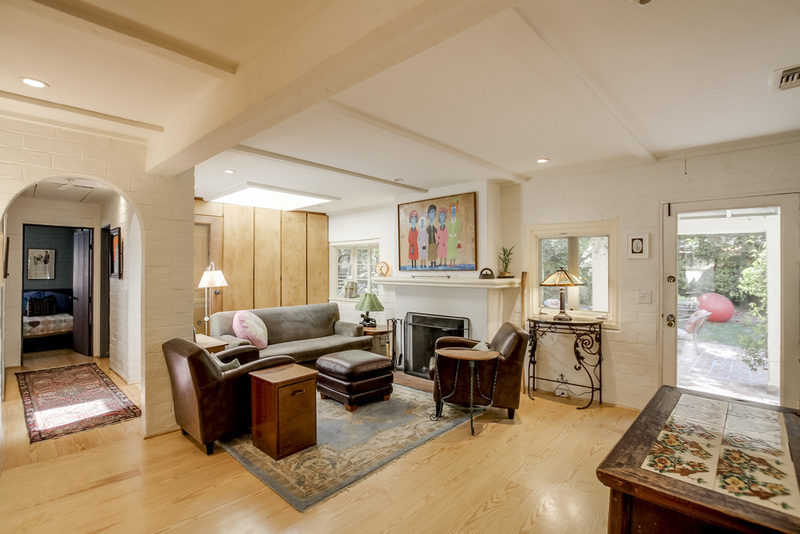 Originally built in the 30s and was tastefully expanded and redone in 2006. This beautiful home features wide plank farm flooring throughout the easy flowing first level, including the kitchen, the eating area, living room, dining room, family room and three bedrooms. In the kitchen, a farm sink and stone countertops complement the Viking industrial 6 burner & griddle professional stove. 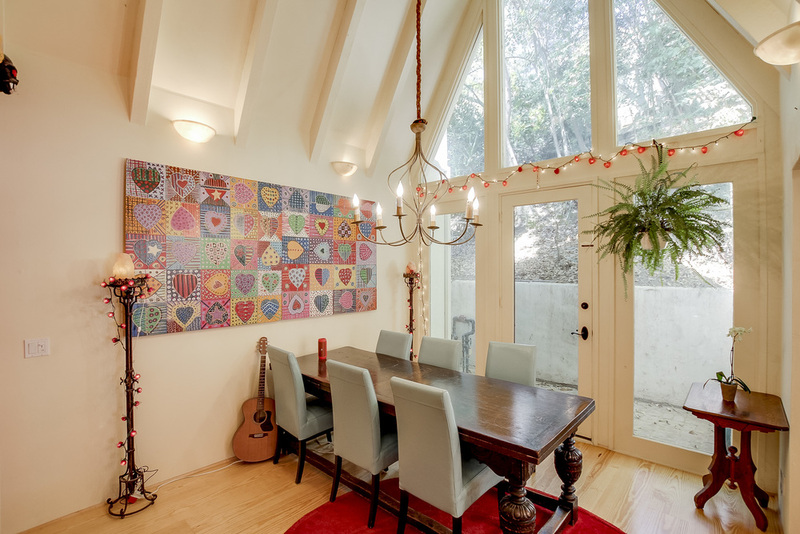 Hidden above the kitchen, you’ll find a quiet meditation loft. 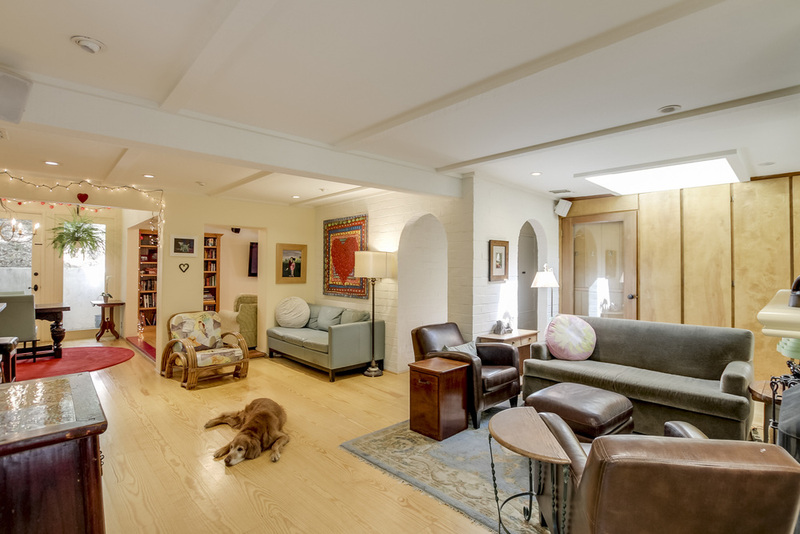 The upstairs master suite features high ceilings and plenty of privacy. 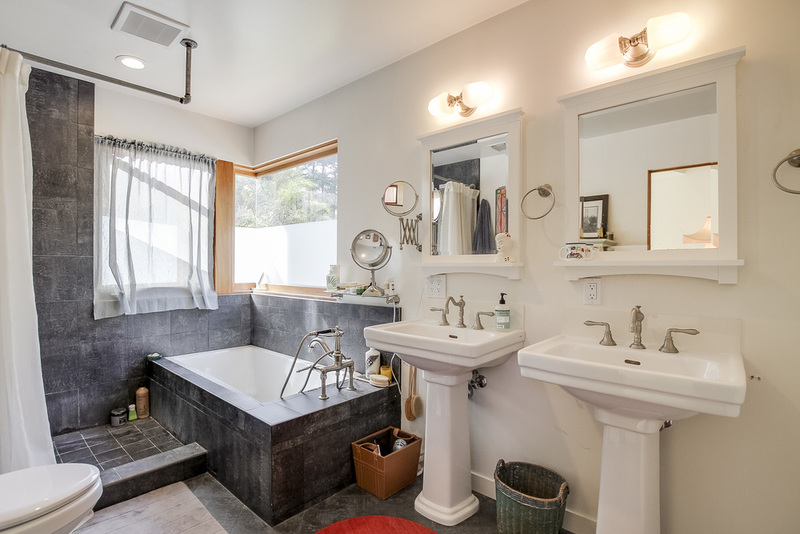 The master bath has dual sinks, large tub, oversize stone shower, plus a spacious walk in closet. 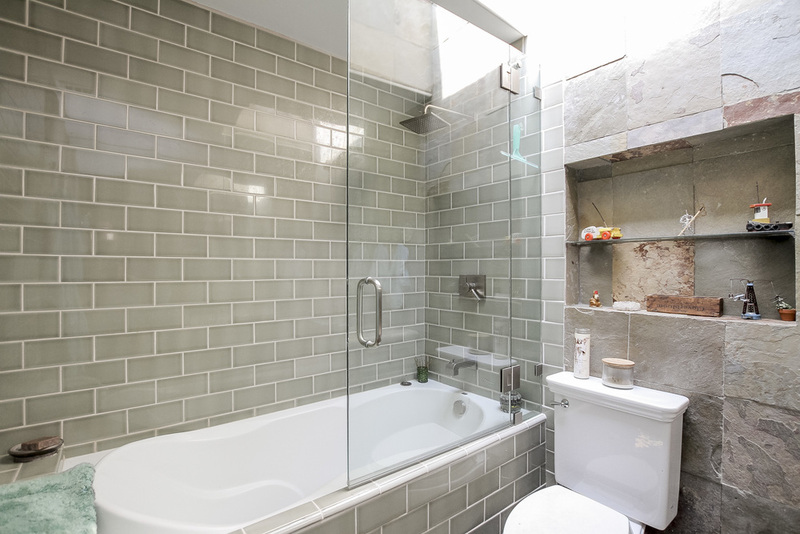 The downstairs main bath was recently re-done with stone, subway tile and a deep soaker tub/shower. The two car garage has built-in cabinets, washer, dryer, sink and run-in for 220 to charge your electric vehicle. Sip lemonade from your own lemon tree as you lounge poolside in total privacy. Rinse off at the outdoor shower after a dip in the salt water pool featuring brand new pumps & filter and a 3-year old non-chlorine hot tub. There is a great artist space/tool shed in the garden. Up the steps through the forested back yard there is a storage shed plus places to hang a hammock and enjoy the breeze under 90 foot trees. 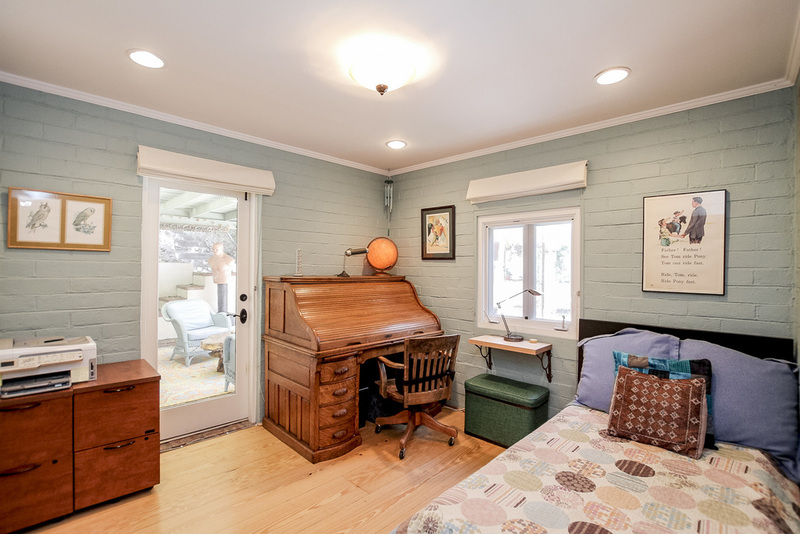 You won’t find many houses with this charm and privacy this close to uptrending Ventura Blvd.